Welcome to the SilverWood Authors Spring Hop! “Some of SilverWood’s many authors have come together to share a variety of articles and items of interest on their blogs for your enjoyment. “There are some lovely giveaway prizes, and – to stay in keeping with the Spring and rebirth theme at this time of year – some colourful Easter eggs. My contribution to the blog hop is a light-hearted very short story that takes as its theme every woman’s love of chocolate. I’ve always loved chocolate, though my relationship with it hasn’t always been easy, especially since my daughter was diagnosed with Type 1 Diabetes at the age of 3. 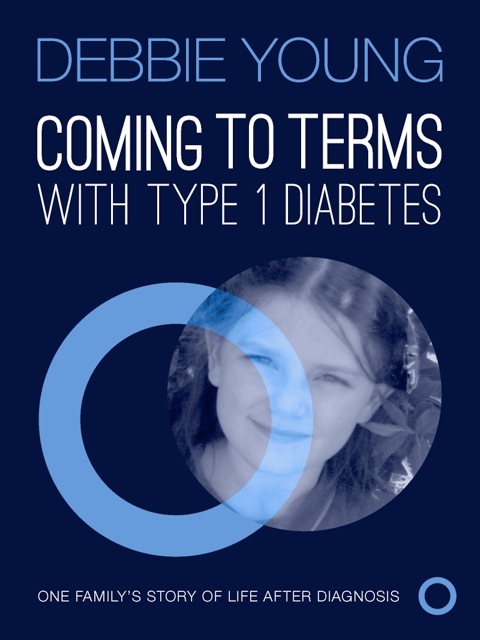 This and other myths surrounding life with Type 1 diabetes will be dispelled in my new book, Coming To Terms With Type 1 Diabetes,which SilverWood will be publishing in paperback form for World Diabetes Day, 14 November 2014. The ebook edition, for which SilverWood provided this beautiful and appropriate cover (the blue circle being the international symbol of diabetes), was published for World Diabetes Day 2013 to raise awareness of the condition and funds for research into a cure. and has gathered many 5* reviews and has been called by a leading GP “one of the best things I’ve ever read about diabetes”. The paperback will have new bonus material added. To keep informed about the book’s progress, and for an invitation to the launch in Foyles’ Bristol Bookshop on Thursday 13th November, please click here to sign up for my mailing list. In the meantime, I hope you enjoy my chocolate-inspired short story below – and if you like it, please leave a comment. 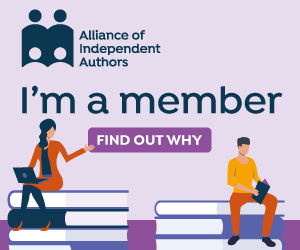 As an incentive, one commenter drawn at random on the day my book is launched will receive a free signed copy of the new paperback – plus a slim bar of chocolate to use as a bookmark! If you dip a wafer biscuit into a chocolate fountain enough times, eventually it won’t fit in your mouth. Much the same had happened with Jennifer’s body. It was as if every bar of chocolate that she’d ever eaten had been melted down and painted onto her frame. Oozing into hidden places, the fat encroached so slowly at first that Jennifer was slow to notice her transformation. Then, one summer’s day while sunbathing on her lawn, she realised that she’d no longer pass the fat test she and her friends had used at school: the ability to lay a ruler flat across her hipbones. (That was the best use they’d found for their geometry sets). By the time she came to squeeze into an old pair of cords for Bonfire Night, Jennifer observed that where her stomach had once been concave, it now billowed out, like a ship in full sail. No wonder sleeping on her tummy had become uncomfortable. Trying on a party dress for New Year, she spotted that her waistline only curved inwards when elasticated clothing constrainied her flesh. By the Spring solstice, the fat had found new places to hide. Her eyelids were thicker, and when inserting an earring, she had to push harder before the post emerged on the other side of the lobe. Jennifer was glad when spring sunshine came early, because it gave her licence to go bare-legged. Lately, tights had become irksome. Unless she aligned their waistband precisely with that of her knickers, skirt and petticoat, her silhouette resembled the scalloped edge of a doily on a plate of cakes. At Easter, Jennifer was quick to remove the temptation of her Easter eggs – by eating them. But then, at last, she decided to take action about her surplus fat. Precisely what action, she was not sure. She was unwilling to relinquish chocolate, or indeed any kind of food. Nor did she fancy exercising her way into shape. Poring over a list of how to burn calories, she was horrified by the ridiculous distance she’d have to run to work off a single bar of Dairy Milk. There had to be an easier way. It was just a question of dispersing fat rather than storing it. Then, lulled to sleep on Midsummer’s Eve by an exceptionally delicious hot chocolate, Jennifer had a remarkable dream. She dreamed of the perfect recipe for weight loss. Next morning on waking, she knew exactly what to do. She rushed downstairs to her kitchen and assembled in a mixing bowl the ingredients dictated by her dream. Instead of stopping to wonder how this magical formula could require only store-cupboard staples, she got on with beating the mixture, her wooden spoon a biscuit-coloured blur. Once the batter was blended, she tipped it into a saucepan and set it over a low heat, chanting the mantra that had also come to her in the dream. When the mixture was smooth and warm as the perfect waistline, she decanted it into a jug and popped it in the fridge. She knew instinctively that this was the correct next step. When she arrived at her office for work, she was so impatient for nightfall – the witching hour, or so her dream had told her – that she could hardly concentrate on her job. As soon as she arrived home, she slipped on her nightie, took the jug from the fridge and with a medicine spoon measured out the dose prescribed in her dream. She swallowed the quivering spoonful in a rush, before she could change her mind and retired to bed to await the results. The anxious fluttering in her tummy didn’t stop her from tumbling into solid, dreamless sleep. Waking next morning, she climbed out of bed, slipped off her nightdress and flung it distractedly on the bed. Reaching with her right hand behind the back of her neck, she grasped what the previous night’s dream had told her she would find just above the nubbly bone at the top of her spine: a trapezoidal zip-pull. She grasped the metal. Bending her head forward to clear her long dark hair out of the way, Jennifer tugged the zip-pull between thumb and forefinger as far as she could. Then she stretched her left hand up behind her back to meet the right one, and continued pulling the zip down, slowly, slowly, till it reached the base of her backbone. As the zip-pull stopped abruptly at her coccyx, the thick flesh covering Jennifer’s upper back and shoulders started to feel loose. Soon she was easing off the entire outer casing of flesh as instinctively as a snake sheds its skin. Wriggling her hips and thighs to dislodge this pudgy onesie, she sat down on the bed, peeled it off her calves and finally stepped out of it on to the bedside rug. Only now did she have the courage to glance in the dressing table mirror. There, to her delight, in a flawless casing of fresh skin, was her slender teenage outline. It was like meeting a long-lost, much-missed friend. Glancing down at the discarded, Jennifer-shaped fat that lay perfectly still on floor, she wondered what on earth to do with it. But of course! It was recycling day. She could simply put it in the green wheelie bin. After all, it should compost down as readily as bacon rind. Better to throw it in the wheelie bin than put it out in the garden for the birds. With a new lightness of tread, Jennifer took a few steps around the bedroom. She felt decidedly different. The top of her thighs no longer rubbed together, her arms lay straighter against her sides, and she no longer felt that her stomach had been lagged, like the insulating jacket wrapped round a hot water tank. Beginning to enjoy the full effect, Jennifer turned this way and that. But it wasn’t the slim reflection in the dressing-table mirror that caused her to smile. It wasn’t the realisation that her low-cost recipe would fetch a fortune on the heaving market for diet products. Nor was it the recognition that she’d achieving every slimmer’s dream of alchemy, turning fat into gold. It was the thought that she could now eat as much chocolate as she liked, without ever having to worry about gaining weight. It was a dream come true. 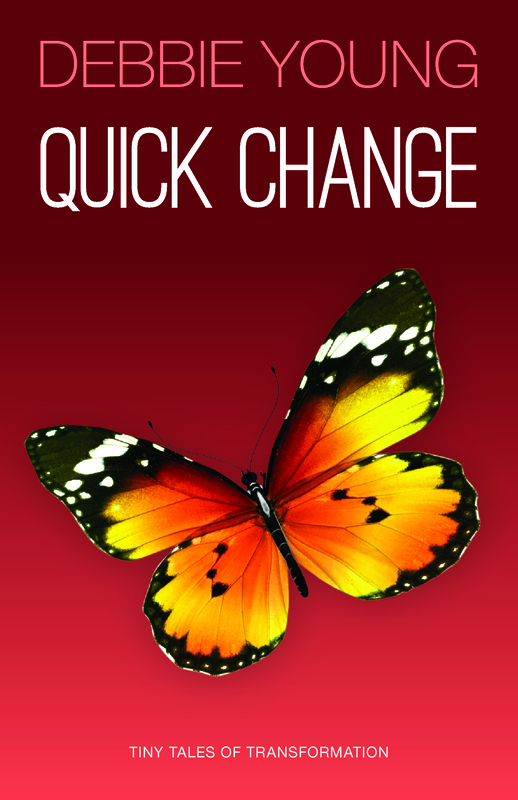 This story features in “Quick Change”, my first collection of flash fiction, which you can buy from Amazon here: Quick Change. My post is just one of many interesting articles in the SilverWood Spring Blog Hop. To hop forward to read these, please click on the links below. You’ll also find more colourful Easter eggs to collect and some more giveaway prizes! I really enjoyed the story. In our household, the two males are the Cadbury’s Cream Eggs addicts; the two females can’t bear them (though they are partial to other types of chocolate). Perhaps I should pitch for some sort of sponsorship deal. The three women here are groaning in horror and delight at your short story. It has a slightly macabre quality – it reminded me of Tales of the Unexpected! And yes I agree with other commentators – I wish there was a quick solution when the chocolate intake takes its toll! Thanks, Isabel! Interesting (and hugely flattering!) that you should mention Tales of the Unexpected – someone else said that of another of my flash fiction stories a little while ago. Not intentional but happy to have the comparison made! Cripes, Debbie, yer story gives me all creepy feelin’s wot make me shiver in moi skin. But then Oi ain’t fat, even though Oi loike chocolate, but there ain’t much of it about where Oi live. Heebie-Jeebie’s mum, wot keeps the Widdlin’ton Post Office, ain’t wot yew’d call skinny, but Oi don’t fink it’s from too much chocolate; more loike because she don’t do overmuch walkin’. Any’ow, Debbie, thank yew very much fer the story. Good point, Amanda – I wouldn’t want to return to my twenties for any other reasons than the dress size I was then! Me neither! I think there were a few good months… I’m looking forward to my 40s actually, as 30s are proving quite tough too! If only it were that easy to get back to the body you had as a teenager! The stuff of dreams – great story, thanks Debbie. Now where did I hide the chocolate…….? Leaving a quick comment as I’m battling flu 😦 this post looks so interesting, I’m calling back when I feel a bit better to devour the chocolate! Also my huge thanks to Debbie for stepping into the breach and making sure the Hop was working smoothly – meant to have been my job, but I’ve been somewhat pole-axed these last couple of days. Thanks Debbie – you’re a hero! Thank you so much, Caz – I must get on and publish my volume of very short stories/flash fiction “Quick Change”, in which “The Alchemy of Chocolate” will be included. I hope this story will whet people’s appetites for the book as well as for chocolate! And can I please a bottle of the medicine? What a great short story. I loved the simplicity of it and that little taste of magic that chocolate itself often brings. Thank you for sharing this Debbie. Thank you, Shelley, I’m so pleased you like it! And I agree, chocolate does offer a little taste of magic! I just wish I knew! Lovely story! Mmmm, chocolate. I’m hungry now. Thank you for being part of the blog hop, Debbie. Ha ha -… if only it were so easy! And i LOVE chocolate … well done. If only, indeed! 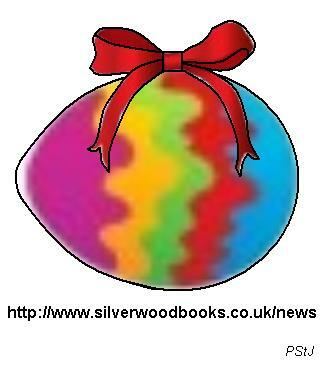 Happy Easter, Helena – it means a lot to me that you like the story, as you write such fab flash fiction yourself! Ah Debbie you are too kind … second book coming soon! Thank you, Ginger Dawn – and may the Easter bunny bring you lots of chocolate! OMG! What a funny story! We all wish it were so easy! My husband is a worse chocoholic than me!